Musical Director for Manchester Gospel Choir. Personal Voice Training for various individuals. Week-end tutor for "An African Experience" with African drumming and songs at West Dean College, Chichester. Teaching Ghanaian Drumming & Dancing in schools and youth programmes in England, Wales, Scotland and Southern Ireland. 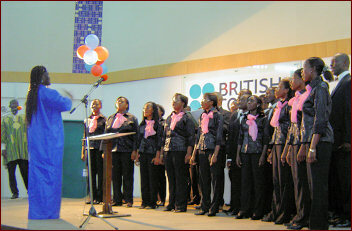 Teaching, training and conducting various choirs in Ghana and Togo.